US stock futures were trading lower in the early trade on Thursday after tech giant Apple slashed its revenue outlook, but a move by China’s central bank to help struggling smaller firms lifted Asian shares. At 08:40 am, the Nifty futures on the Singapore Exchange (SGX) traded 19.50 points or 0.18 per cent higher at 10,851.50, indicating positive opening for the Nifty50 back home. BoB, Dena, Vijaya Bank: The Union Cabinet on Wednesday gave its nod to the proposed merger of Vijaya Bank and Dena Bank with Bank of Baroda (BoB). The boards of the banks met to approve the swap ratios on Wednesday. For every 1,000 equity shares of Vijaya Bank and Dena Bank, respectively, investors will get 402 and 110 equity shares of Bank of Baroda, according to a BSE notification. Triveni Turbine: SBI Mutual Fund bought 5,131,000 shares at Rs 103 per share on Wednesday, BSE bulk deal data showed. Also, Nalanda India Fund sold a total of 5,150,000 shares at Rs 103 apiece. Syndicate Bank: Syndicate Bank and SBI Life Insurance announced that they have signed a bancassurance pact to offer a comprehensive financial planning solution to its customers. 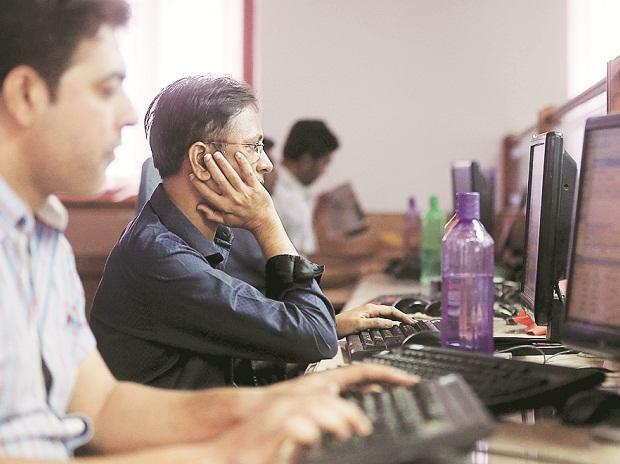 This apart, the state-owned lender said it would raise up to Rs 500 crore by issuing shares to its employees under the employee stock purchase scheme. HDFC: The company's board will meet on January 29 to consider raising Rs 45,000 crore through issuance of secured redeemable non-convertible debentures (NCDs). Ashok Leyland: Ashok Leyland has acquired 27.25 per cent additional stake in Ashley Aviation, raising its shareholding in the firm to 76.25 per cent, the Hinduja Group’s flagship firm said Wednesday. The company has acquired 1,089,985 shares of Rs 10 each constituting 27.25 per cent in the paid-up share capital of Ashley Aviation at a price of Rs 5.10 per share, the company said in a regulatory filing. Telecom stocks: Telecom major Reliance Jio led the subscription race in October with an addition of around 1.05 crore subscribers, followed by BSNL, as all the other major players registered a decline in their subscriber base. On the other hand, the country's largest operator in terms of subscribers and revenue, Vodafone Idea lost 73.61 lakh subscriptions, to bring its total base down to 42.76 crore subscribers, the data showed.